Picture this with me. You’re at the park on a field trip and you see a student on top of the 25-foot-tall, blue, shade tarp above the playground, and he’s jumping on it like a trampoline! The headline flashing through your head reads, “Student breaks all bones on playground while teacher is nowhere to be found!” Not to mention, this is the kid you JUST told sternly, for the second time, they couldn’t be on top of the playground equipment. During this conversation, a teacher on your team comes over and forcefully tells you that you are being mean to a poor kid and abusing your power. Kids should be kids and have less rules. In front of the student. You are a professional and explain that you will discuss this when you get back to campus and are not in the presence of children. You walk away and he’s now raising his voice so students nearby start paying attention. I worked with this teacher for five years, and we never really saw eye to eye on student management. I thrive on structure, and he is go with the flow. Until this point, it was just a difference we recognized and respected. This confrontation completely caught me off guard, and I was absolutely livid. There’s a huge misconception that teachers work alone. Sure, we work alone in our classrooms with our students, but we don’t actually work alone. We work with our administration, the office staff, our SPED team, paraprofessionals, and even the teachers on our team or our campus. Inevitably, disagreements happen. So, what should you do when you land yourself in the middle of conflict? First, decide if this it a pet peeve or a true conflict? I will be the first to tell you that I have things that bother me about my coworkers. Little pet peeves that annoy me. On the other hand, conflict is usually brought on by a disagreement between two people. The distinction is important to realize because the approach is somewhat different. If it’s a big deal, and it directly affects your job, mention something to them. Even try mentioning it in passing. One student started showing up to my first hour everyday, loudly announcing that another teacher sent him to give me something. He came in with the most random things – tape dispensers, books, puzzles, candy…. When I asked this teacher why the student kept showing up in my room, she explained the situation to me. I just said, “I get it, but you can’t send him to my room. He’s a daily distraction and it’s hard to reign my class back in. I’m so sorry.” I wasn’t rude and didn’t make a big deal out of it, but the student did stop showing up. If it’s not a big deal or doesn’t directly affect your job, you might want to consider letting it go. A teacher might complain to about how bad their class is, but won’t take direction from administration or practical steps to resolve it… there’s not a whole lot you can do. Tell them what you think when they ask. Be brief without being rude. When you walk away, you don’t have to deal with their classroom. Find someone to talk to. Find someone safe to vent to who won’t go blabbing your frustrations or secrets to everyone else. It doesn’t solve the problem, but I feel better safely getting it off my chest by talking to someone who understands. We can’t fix everyone and everything. If you can just talk it through with someone, do it. If you can bring it up casually, do that too. But, I’ve found that a lot of my little pet peeves with coworkers can be solved by going back into my classroom. However, pet peeves can quickly turn into conflicts. 1. First (and biggest) – Is it your boss telling you to do something you don’t want to? Excuse an assignment? Morning duty? Go to an IEP the Friday before fall break at 4 PM (It happened to me!)? Have a sit down meeting with them and a parent? Do it. This is not a hill you want to die on. If your boss is telling you to do something (reasonable), they have a reason. You might see their reason as wrong, self-serving, or self-promoting, but they’re the boss (and eventually, you’re going to have to ask them for a letter of recommendation). 2. Is it your fault? Ouch. No one likes to be wrong, but we all are at some point. It might be your fault. My biggest advice – apologize. Approach the issue with humility. Being “right” is not worth creating lasting tension. 3. Who else is involved or needs to be? And who does NOT need to be? In my story about the student park, my administrator needed to know. They may have parents call or students say something. If my team wasn’t there watching, I’d probably tell them. We work as a team and when something is wrong, it throws us off. 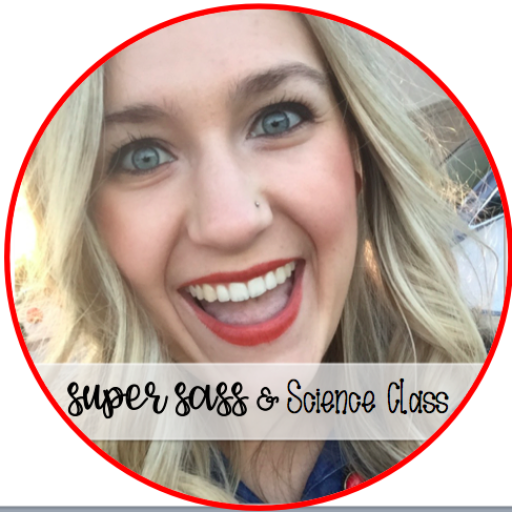 Does every teacher on campus need to know? Absolutely not. Tell the people that need to be involved in solving the problem and that’s it. Otherwise it’s nothing but gossip. 4. How will you take steps to resolve it? I highly recommend having a vulnerable (and unfortunately, uncomfortable) conversation seeking a resolution instead of pushing it aside. It’s likely that emotions will run high. I always have to sit on what I am thinking for a few days to let it all process out in my head before I can approach the person. You may need to write it out before you can talk. You may need a third party there to listen and help come to a solution. Your administrator may be able to help you determine what the best steps are. It’s possible that after talking to your admin, they can handle it for you. 5. If the conflict is not resolved, can you put your feelings aside and remain a professional? This is so hard. Feelings might be hurt and lines might be crossed in your conflict. I implore you – be a professional. You may disagree. You may hate the way that person refused to engage in any resolution. The ultimate resolution to your conflict may be leaving the site and finding a new job. Until then, know you are strong and capable. When you must engage with this person, be brief. Create boundaries as necessary. You are a professional and while the resolution you attempted didn’t turn out your way, you have an audience – your administration, your fellow teachers, your students. I will be completely honest and tell you that after that teacher yelled at me in front of students, I tried to work it out several days later when I could think with a clear head. Instead of getting into a debate about managing students (like I said, we never agreed on this to begin with), I focused on the fact that brought this up in front of the student because it undermined my authority. He held his ground that he was right. The conflict did not get resolved, and I still work with him. I set this boundary in place: I will not engage in a conversation with him unless it concerns something professional. Conflict is hard and uncomfortable. When it comes to working with people, conflict is inevitable. 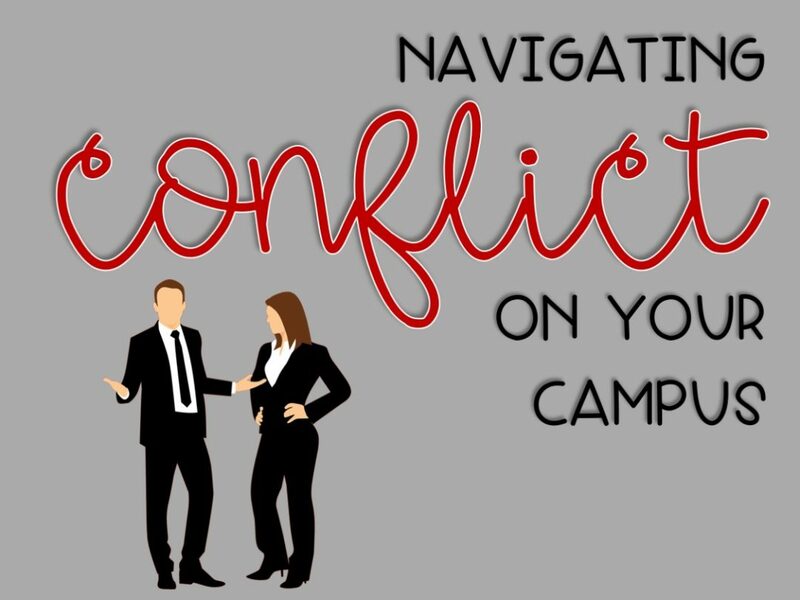 It’s my hope that these questions help you think through how to navigate conflict on your campus. There is something freeing about being able to work together, navigate a problem, and come out the other side a stronger teammate, teacher, and person than you were before.